Darwin Plant Wholesalers – suppliers to the indoor plant trade of high quality indoor plants – all year round! At Darwin Plant Wholesalers we grow a big range of tropical, subtropical and temperate zone plants, many of which are suitable for use as indoor plants. Because of our 12 month growing season, we always have high quality foliage plants ready to go at any time of the year – and our rapid growth rates and high turnover ensure that the range is always changing and expanding. As one of Australia’s most ardent plant collectors, Darwin Plant Wholesalers’ principal Darryl South has been collecting plants from all over Australia and the world since the 1970′s and continues to do so. As a result of this activity, Darwin Plant Wholesalers grows a diverse range of species, some of which are not grown by other commercial nurseries in Australia. Check out our looking good list to see what’s in stock right now, and keep in mind that it’s changing all the time. If what you want is not in the current catalogue, call or email us to see if it’s being grown – and if not we will consider adding it to our range; we also offer contract growing facilities for large orders. Our friendly staff are always happy to help with advice, and can tell you what conditions any particular plant requires (lighting etc). 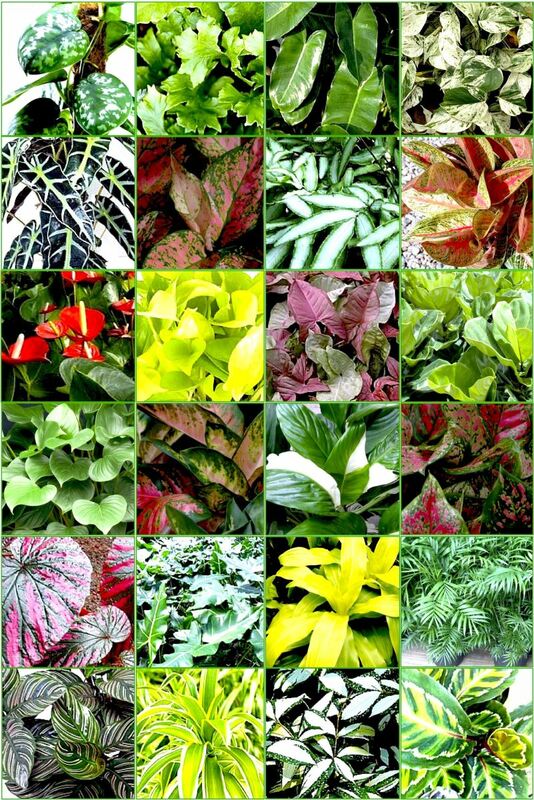 For example, not everyone is aware that Crotons (Codiaeum sp) will do very well indoors in a well lit spot – adding vibrant colour to the indoor landscape – and we have a huge range of Crotons in every colour imaginable! At Australia’s largest tropical nursery we have been shipping plants all over Australia, as well as to overseas clients, since the 1980′s so we know what we’re doing in respect of packing, documentation, quarantine and freight. So for friendly professional advice and the supply of a great range of high quality indoor plants all year round, give us a call or drop us an email – we’ll get straight back to you! Darwin Plant Wholesalers – leading Australian grower of high quality indoor plants – call or email today 08 8988 1888 or email sales@darwinplants.com.au. Packing, delivery and documentation arranged to anywhere in Australia. Live Plants for Indoor Air Quality! A Breath of fresh air!